Over the past few days, I've been talking to multiple sources about Star Wars: First Assault, the troubled multiplayer shooter that could be LucasArts's downloadable take on Battlefield and Call of Duty. 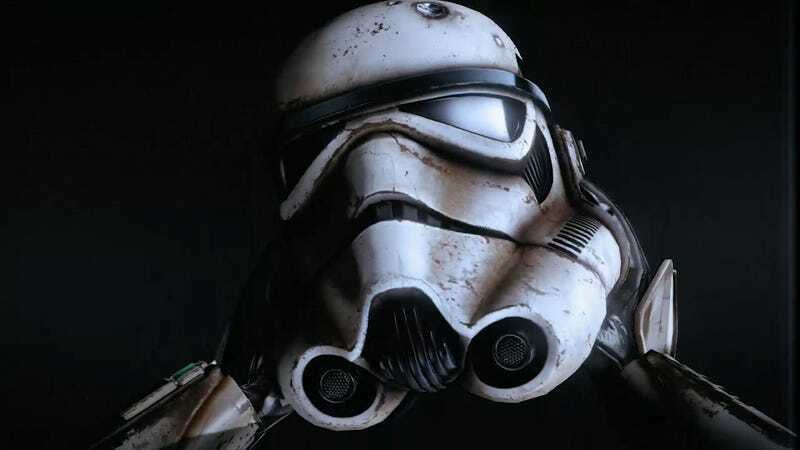 Today Kotaku can reveal gameplay footage from the Star Wars shooter, which has not been announced and may never actually make it out of the studio, even though it's almost finished. Star Wars: First Assault was meant to be a "predecessor" to Battlefront III, we learned this week. LucasArts planned to release it this spring as a downloadable game, but Disney's acquisition of the company put all games on freeze as executives try to figure out what to do with the Star Wars property. We've got two clips of First Assault, both cut from a trailer that was designed for internal use at LucasArts back in October/November. This is footage from an older version of the game, and may not be a perfect reflection of what First Assault looks like today, but given that LucasArts won't talk about the game, this is all we've got. "The trailer contains all in-game footage, including known bugs and incomplete art," said a source. "In the time since it was made, many improvements have been made in performance, completeness, and quality." UPDATE: Following a takedown request sent from Lucasfilm's legal department to our parent company, Gawker Media, we have removed both videos. Lucasfilm claims copyright on them and has also been pulling down versions of these clips that were ripped onto other sites on the Internet. We can assume that the next time you'll see the game—if you see it again—will be when Lucasfilm wants you to. The second clip contains gameplay footage from Star Wars: First Assault. In this clip, you can see stormtroopers and rebels battling across various Star Wars locales, like the desert planet Tatooine. It's very reminiscent of multiplayer mode in a first-person shooter like Call of Duty or Battlefield or Lucas's own Star Wars: Battlefront. It's still unclear exactly what will wind up happening with Star Wars: First Assault in the coming weeks and months. We'll continue to dig around and update you as we hear more about the new Star Wars shooter and the troubled state of LucasArts today.